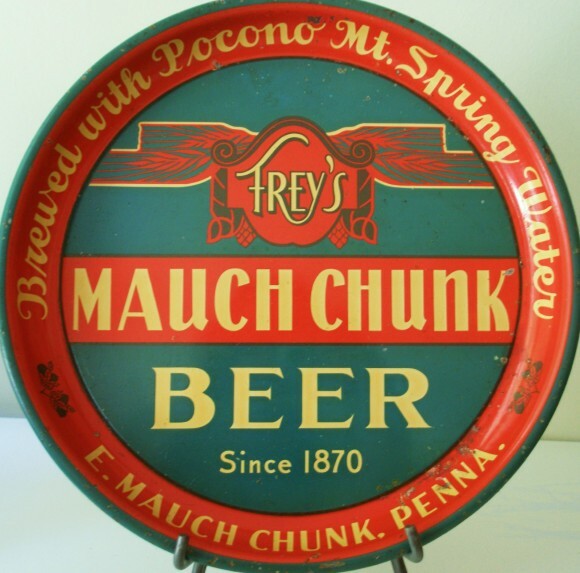 Serving Tray for Mauch Chunk Beer from E. Mauch Chunk. Penna. Text across the top states Brewed with Pocono Mt. Spring Water.